Don't know where to begin? This lecture class will teach you all you need to know about the basics of machine embroidery. Learn about the different types of stabilizers and how and when to use each. You will also learn how to hoop. 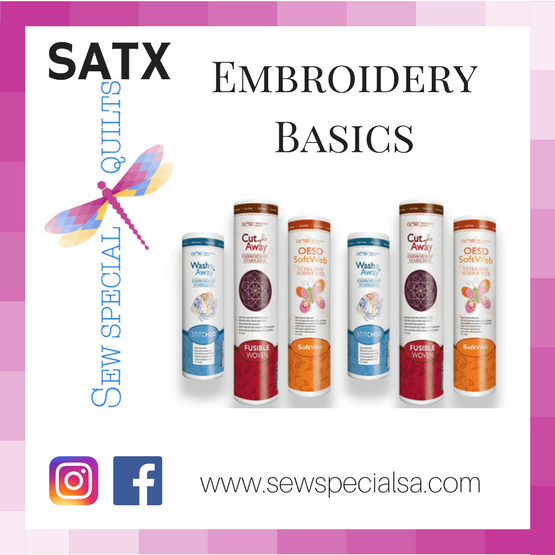 FREE if Software/Embroidery Machine was purchased from Sew Special Quilts. If you did not purchase from us please call 210-698-6076 with payment.